Hosea P. “Hod” Clements was born December 27, 1890 in Milltown, GA, a son of Ann Eliza Swindle and John Miles Clements. Hod grew up on his father’s farm, situated on one of the ‘settlement’ roads outside of Ray City. 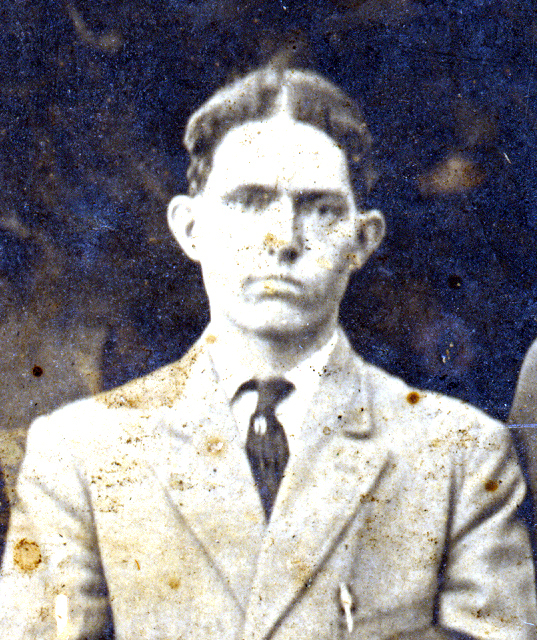 Hod P. Clements of Ray City, GA, 1911. 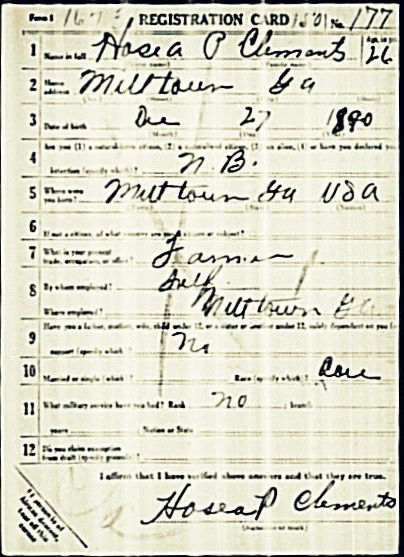 On June 15, 1917 Hod Clements registered for the WWI draft at Milltown, GA . At the time he was working as a self employed farmer. He was 26 years old, medium height and build, with gray eyes and light hair. 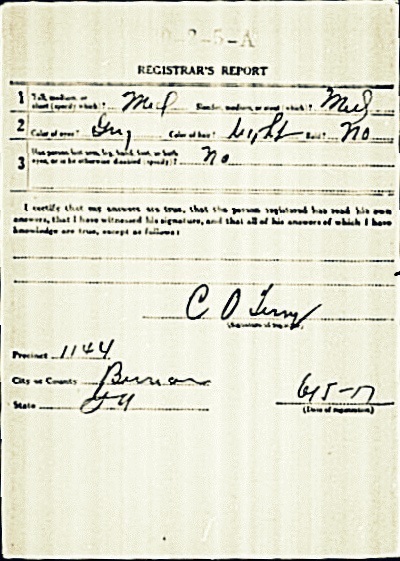 His draft card was processed by C. O. Terry, registrar for Berrien County and also the druggist at Ray City, GA.
Three months later on September 21, 1917, and less than a week after marrying Alma Florence May, Hosea Peoples Clements was inducted into the US Army at Milltown. His military service records show he was first assigned to Company A, 307th Engineers and trained at Camp Wheeler in Macon, GA.
Late in the summer of 1918 Hod shipped overseas where he served from September 17, 1918 to July 5, 1919. There on Oct. 14, 1918, he joined Company F, 106th Engineers. This unit was part of the 31st (old 10) Division which encompassed units from Georgia, Alabama, and Florida. The 31st Division was known as the Dixie Division, under the command of Major General Leroy S. Lyon. 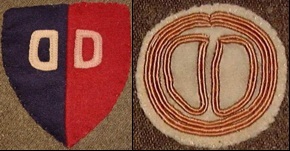 WWI Dixie Division arm patches. Upon arrival in France the 31st was designated as a replacement division. The personnel of most of the units were withdrawn and sent to other organizations. The 31st was at Brest when the armistice was signed on November 11, 1918. Hosea P. Clements was honorably discharged from the Army on July 13, 1919. Records show he had 0 percent disability at discharge. After the War, Hod Clements returned to Berrien County, GA and took up farming. My father was assigned to Company B, 307th Engineer Battalion, 82nd Airborne Division just out of West Point and Parachute School. Later, in 1972/73 he commanded that battalion. I wanted you all to know that he was a member of a fine military organization. RS, Thank you for reading the Ray City History Blog, and thanks to your father for his service to our country.